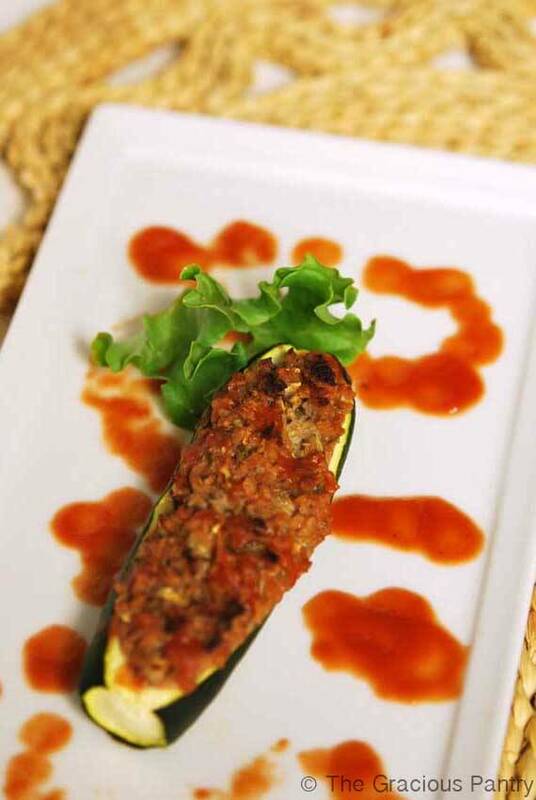 Stuffed zucchini is not a new phenomenon. There are tons of recipes out there. But there are three advantages to using my recipe. it’s vegetarian and still packed with protein. it’s a clean eating recipe. it’s my recipe. So it’s the best. So there. All right. Let’s get on with the recipe already, shall we? Cut your cleaned zucchini in half and scoop out the inside into a bowl. 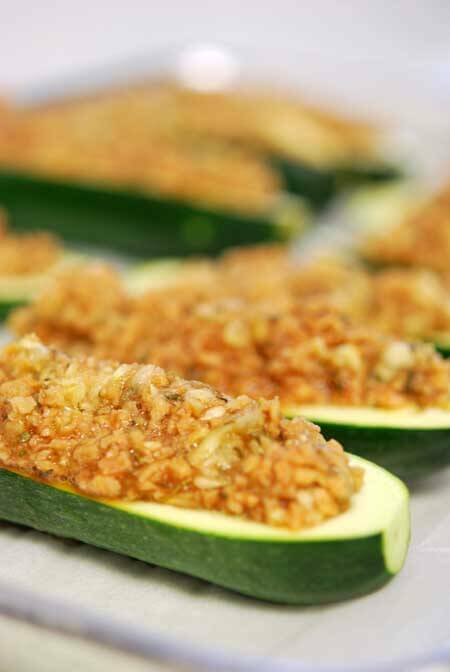 Set your scooped out zucchini halves on a parchment lined cookie sheet or baking pan. Add the TVP and stir again. Mix well. Using a spoon, scoop the mixture back into your zucchini halves. Be generous. 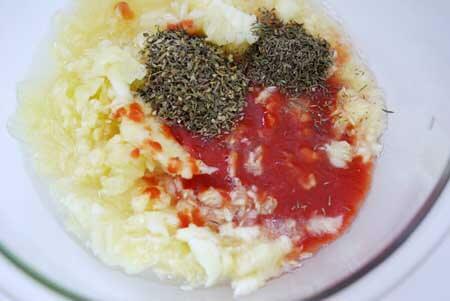 You should get all of the mixture back into the zucchini halves. Bake in the oven at 350 degrees F. until the zucchini is soft. About 20-30 minutes. A fork should easily pass through it. I am new to “clean eating” and am very excited about changing my lifestyle. 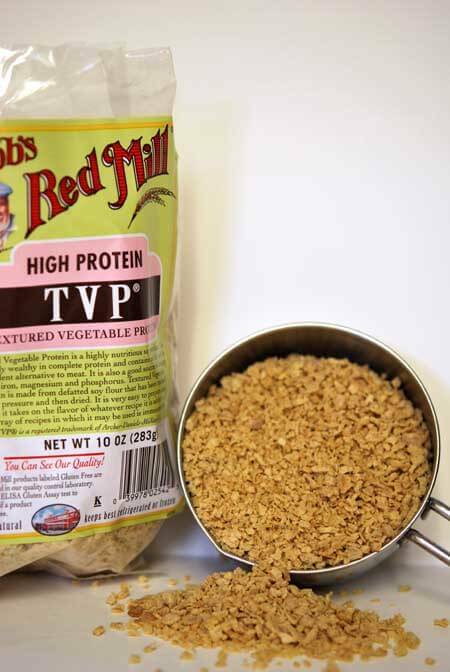 I want to do this recipe but have a question about this TVP stuff, I’ve never heard of it, what is it? Tiffanie – It’s dehydrated soy. Some health food stores carry it. I would call around instead of going from store to store. Bob’s Redmill is one brand, but there are other. 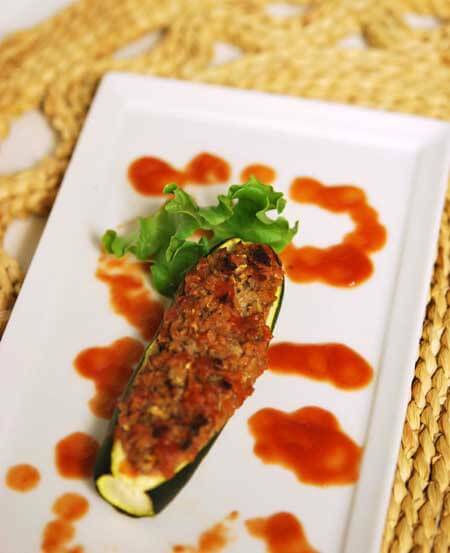 You can also use ground turkey meat if you choose. Hope that helps!